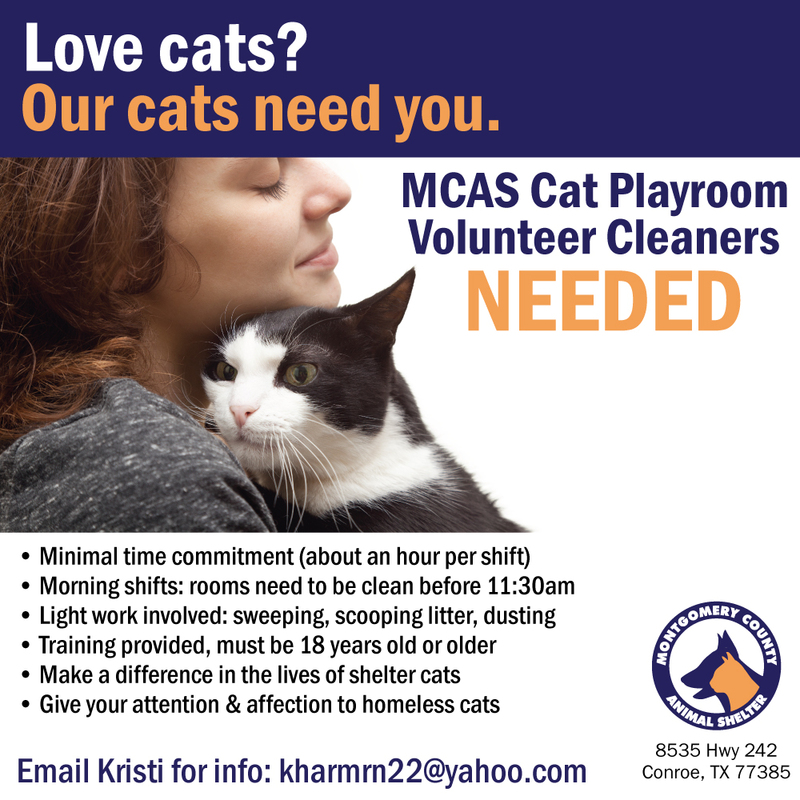 MCAS Cat Playroom Volunteer Cleaners NEEDED! Home Blog MCAS Cat Playroom Volunteer Cleaners NEEDED! Love cats? Then our cats need you! Help give a foster pet a fur-ever home for the holidays! Petsmart 1960 adoption events!